We offer Qualification Support Kits (QSKs) for aiT that support and simplify the qual­ification pro­cess. In the past, our QSKs have been successfully used by leading corporations in their DO-178B qualification process, especially in the avionics industry. 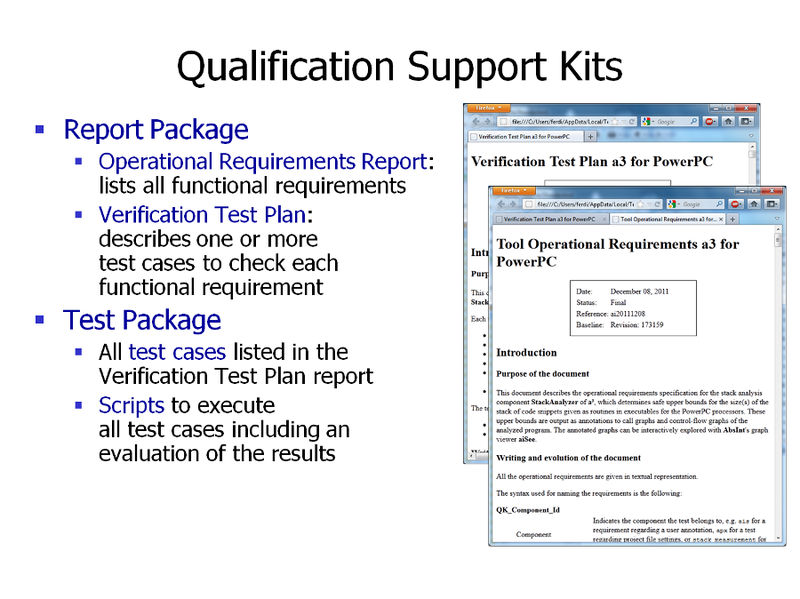 Each QSK contains two major parts which depend on each other: a Report Package and a Test Package. The reports are generated in HTML format, enabling easy integration into your cer­tification documents. The QSKs can be easily extended with your own test cases to also cover your operational environment.